Will they kill the grass by eating the roots? We have dogs and the beetle we find are under the dung but the grass in the yard in dying in patches and when the dead grass is removed there are no roots left. Also what can be done to get rid of them in the yard that is safe for other animals and children? Hister beetle larvae can damage plants because they’ll actively feed on it as they grow. But my guess is the ones you have are mostly targeting the dung in your yard because hister beetles love to eat fly maggots and other organisms commonly found in animal dung. 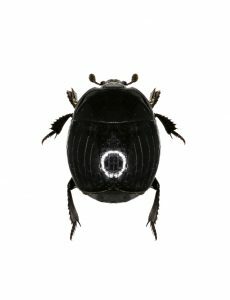 Hister beetles are mostly round, black, shiny beetles that feed on other insects and plants like grass. They’re quite small (see picture showing them alongside a car key). Adults will find where other insects are thriving and populous. Animal feces is a great place for a lot of insects to congregate so hister beetles are commonly found in dung. And once they find a good food location, they’ll mate and start laying eggs. 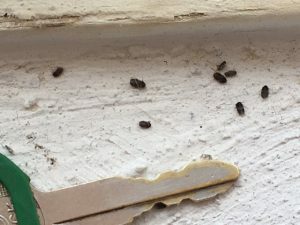 Hister beetle larvae will then hatch from these eggs and immediately begin to feed on dead insects and other organic matter found in animal feces and the surrounding plant life (like your grass). So when you allow dog or other animal droppings to linger in the yard, there is a good chance some hister beetles will show up at some point. 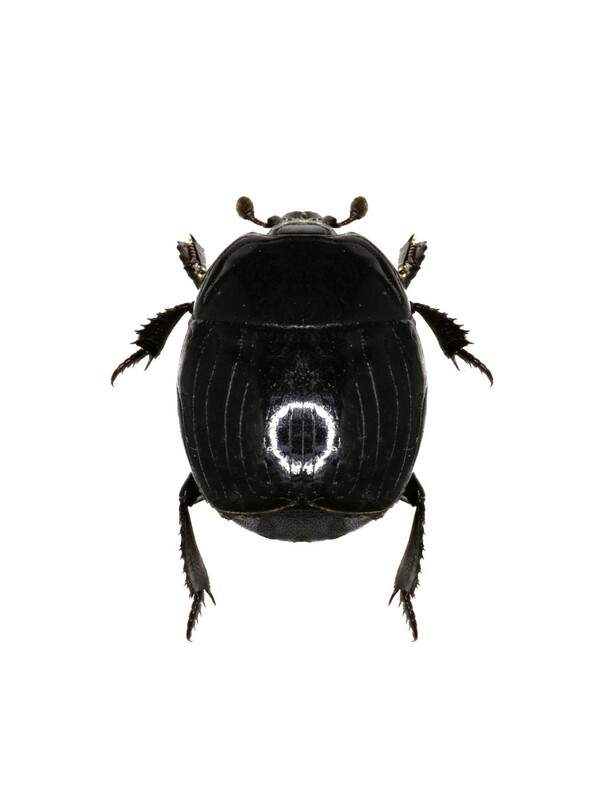 Clown beetle or Hister beetle, Histeridae on dung. 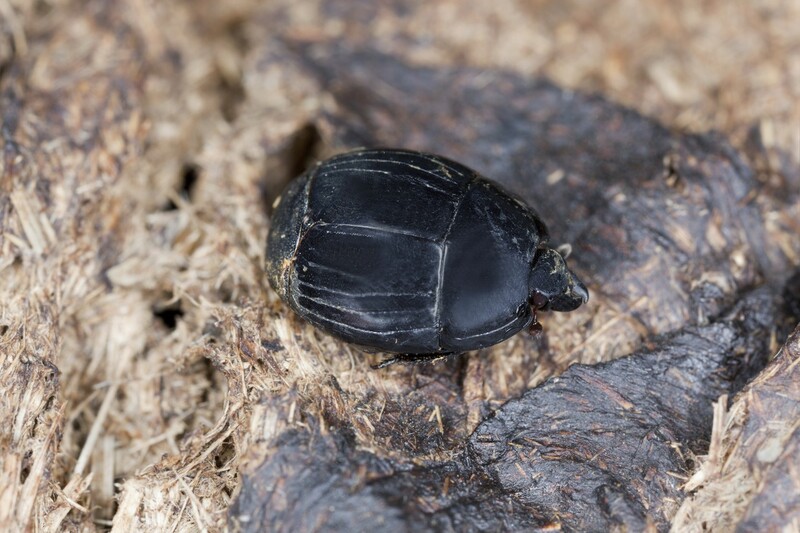 To control hister beetles, you should first remove all the animal dung you find. Next, you may need to raise the soil PH to help keep the grass stable and healthy. If you let dogs urinate and leave feces throughout the yard, the turf will naturally become acidic. This alone can cause the grass to discolor and die. To see if your soil PH is alright, get a PH METER. This device is easy to use and will provide a quick measurement so you will know if you need to raise it. Anything lower than a 6.5 will need some lime treatments as explained in our SOIL PH CONTROL article. Once you’re ready to treat, remove all the pets and kids from the yard and plan on keeping them off the grass for at least 1 hour. Apply CYONARA RTS throughout the grass and allow it to dry for one hour before letting anyone back. Cyonara is safe for use around kids and pets and once dry will not pose any kind of hazard. Its actually labeled for use on vegetables and fruits so its safe enough for the vegetable garden too. One quart will treat up to 1/2 acre and results will be fast. Treatments will work immediately and in most cases any beetles in the yard will be dead by the next day. Repeat every 2-4 weeks to keep the beetles away for good and since Cyonara will control gnats, mosquitoes, fleas and ticks, it’s a good all around spray for any yard that has kids and pets active. If the hister beetles have found your home they will naturally invade and from there, reach living areas. In most cases, keeping their numbers minimized around the home by spraying with Cyonara will prevent this from happening. But in cases where you cannot control them outside and need to stop them from invading, spray the homes exterior with CYPERMETHRIN. This material is highly repellent to hister beetles and they will stay off treated surfaces. Mix 1 oz per gallon of water and spray all points of entry. This will include around windows, doors, soffits, overhangs and at the bottom of the homes siding. Retreat once a month or more frequently for bad infestations. 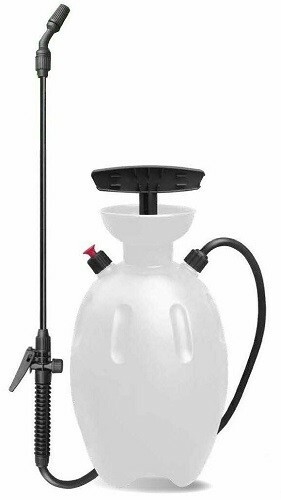 Use a good PUMP SPRAYER to apply the Cypermethrin and expect to use 1-2 gallons per application for the average home. Once inside the home, apply PHANTOM AEROSOL to all cracks and crevices where you suspect they might be hiding. Phantom goes on dry and is odorless. It won’t kill on contact but after 2-4 days of contacting a treated surface, affected beetles will die.